I saw the idea for a fall garland on pinterest and fell in love with it. 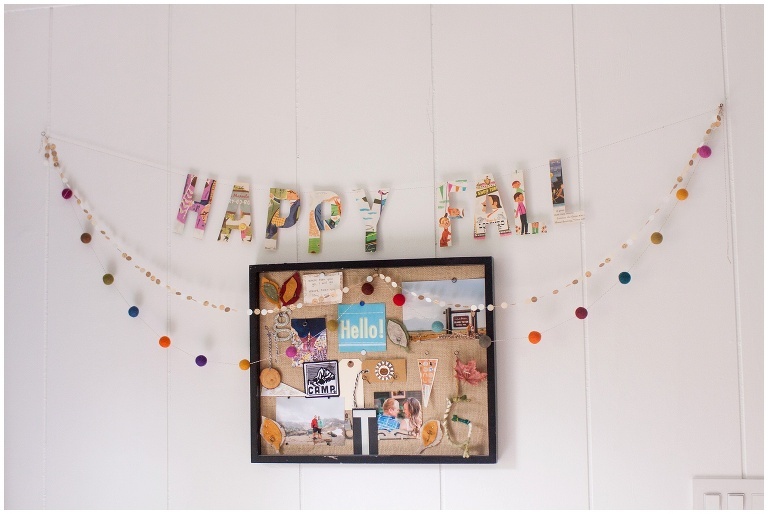 I used her pattern to create the Happy Fall garland from old book pages. I purchased felt balls on ebay and used needle and bakers twine to string them together to make the garland. The whole thing was very quick, easy, and inexpensive. A perfect addition to our entry way. Original pinterest idea found here.